Since I'm not currently eating dairy, I needed to find an alternative to add to my favorite Chai tea. 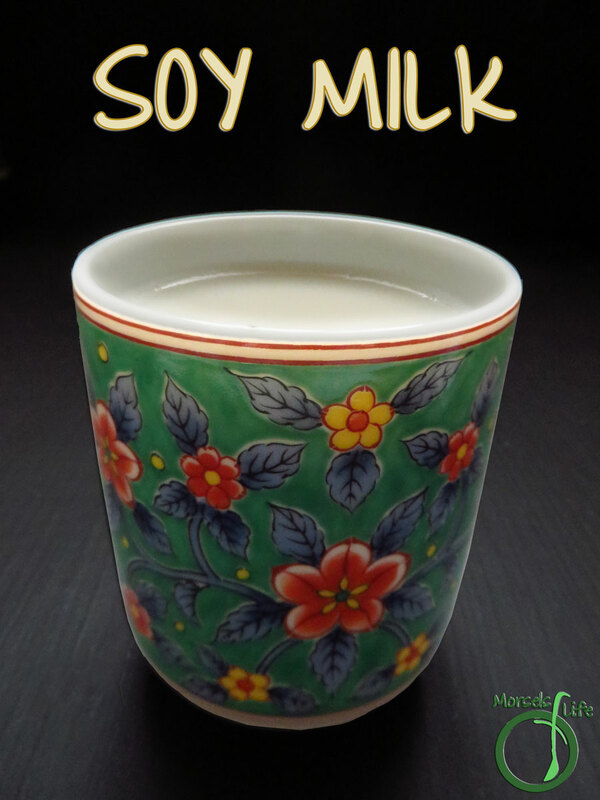 Even though there's a lot of alternatives these days, I'm most familiar with soy milk. Plus, I already had all the required materials on hand - all two of them! Can you guess what they are? 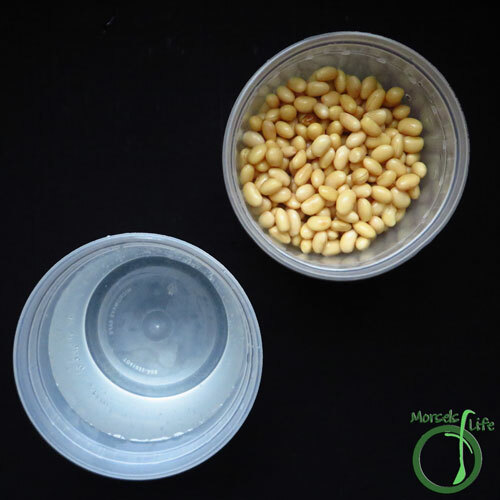 Yep - soy beans and water. Really, that's it! I also added a bit of sugar, but you could easily leave it out. Or you could add in whatever flavors you like - chocolate, vanilla, etc. Once you've gathered your materials, just throw everything into the blender, and blend! The longer you blend, the smaller your soy bean pieces will get, and the stronger your soy milk will be. After blending, pour everything into a filter. 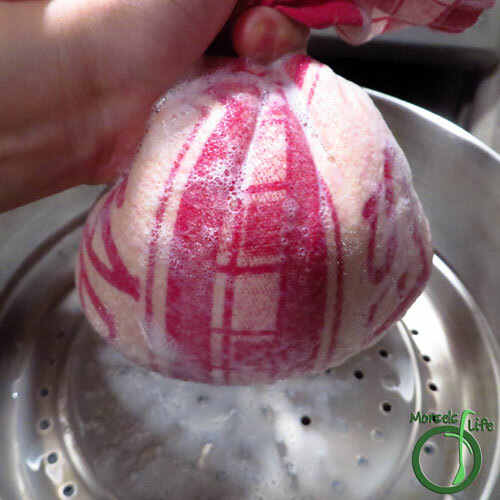 I like to use a flour sack towel, and cheesecloth works too. I'll sometimes take the grounds and put those back into the blender with more water to get a bit more soy milk. You can do it a few times, but each time will be weaker than the previous time. Usually 2-4 times is good. However, it also depends on how strong you like your soy milk. I've found, generally speaking, the stuff you find at the Asian grocery will be stronger than the stuff at the American grocery. This soy milk tastes much more like the Asian variety. Once you've filtered the soy milk, bring it to a boil, and you're finished! I like adding sugar while heating, but you could also add your flavorings while blending. What's your favorite milk alternative? 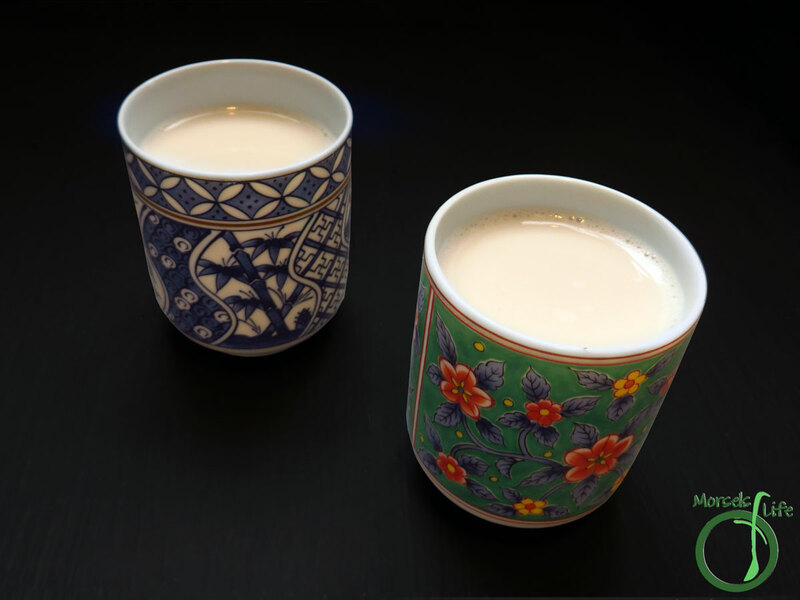 Ever wondered how to make your own soy milk? Find out how! It's simple and requires only two ingredients. 454 grams 1 pound soy beans, presoaked I think I started with about 1 cup of dried soy beans. water The amount you use is variable. I usually just fill the blender mostly full after adding the beans. 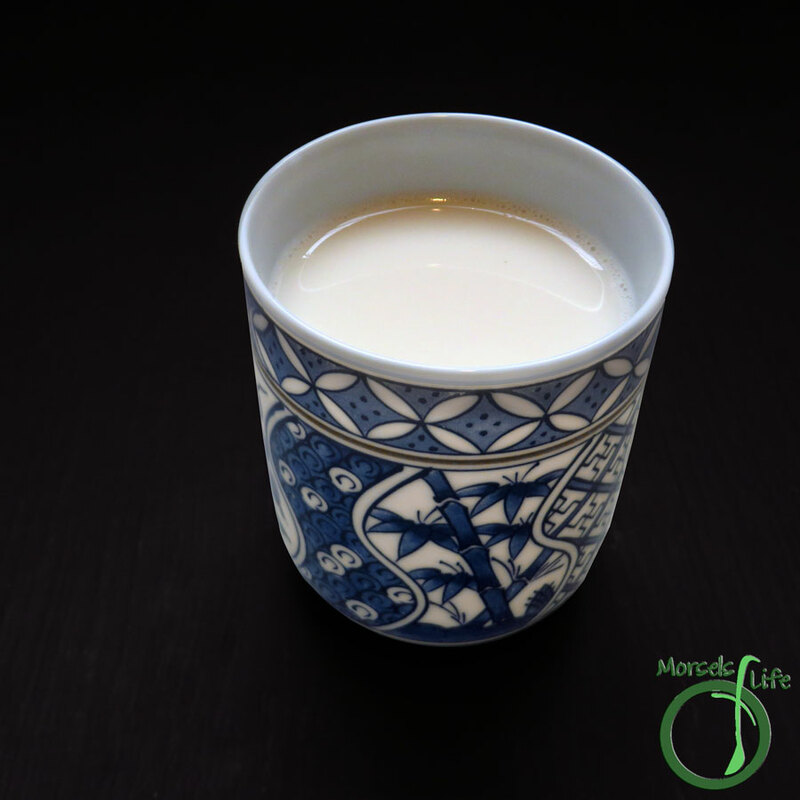 You can also start by making a strong soy milk and then diluting it down later. 2. 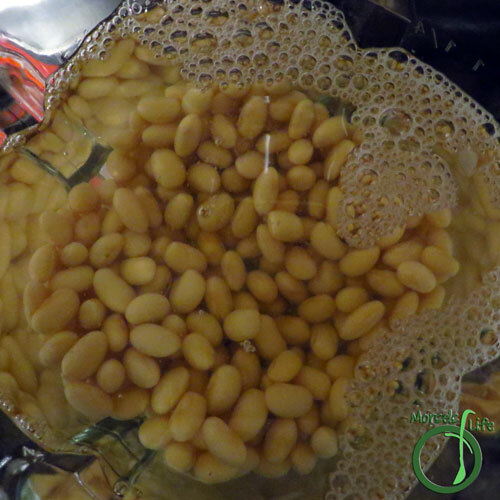 Place pre-soaked soy beans into blender and add water. I usually fill the blender most of the way. 3. Blend until everything's all mixed up. 4. Strain solids out. 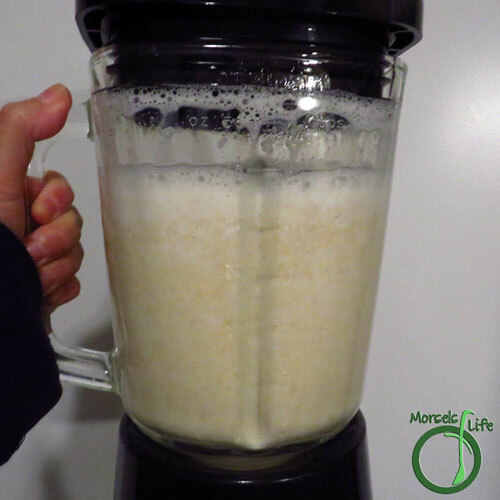 You can then put the solids back into the blender with more water to get more soy milk, but each time will result in a weaker soy milk. Bring your soy milk to a boil, and then simmer, stirring occasionally. I like to add the sugar here. This sounds so easy! Who knew! So simple! Thanks for sharing! How exciting! I have never made my own milk before! I can't wait to try this!!! Thanks for sharing this great tutorial with Saucy Saturdays!